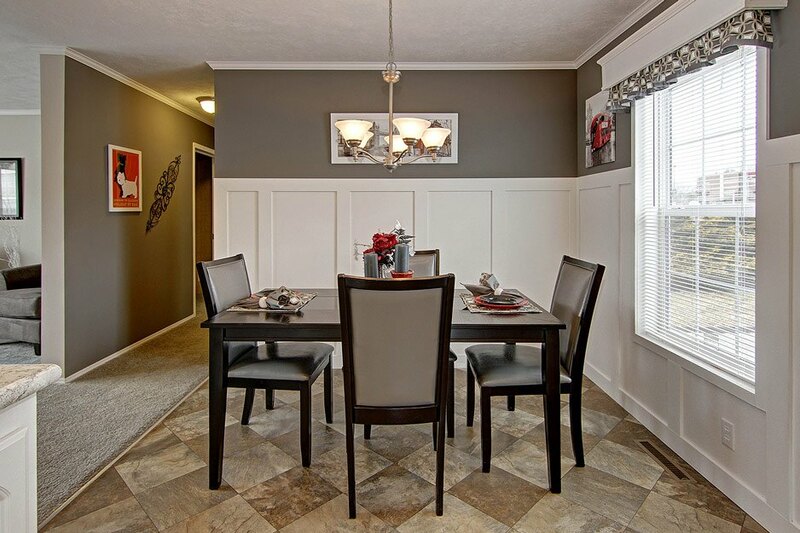 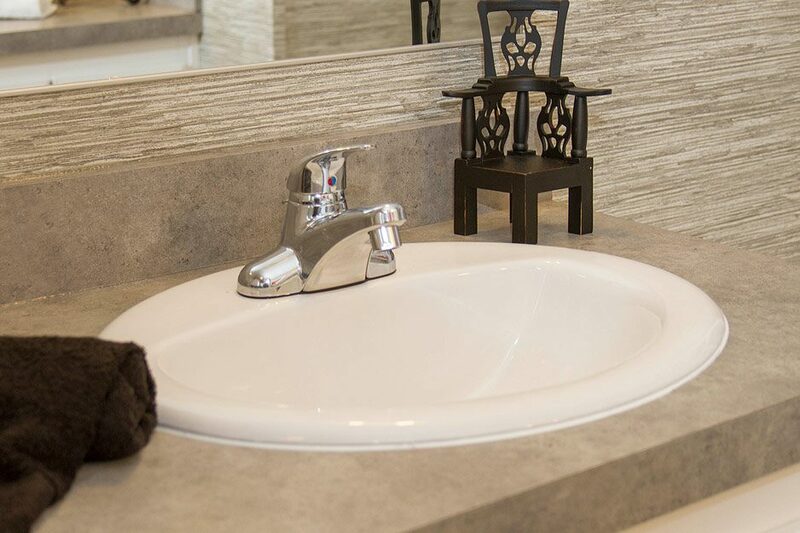 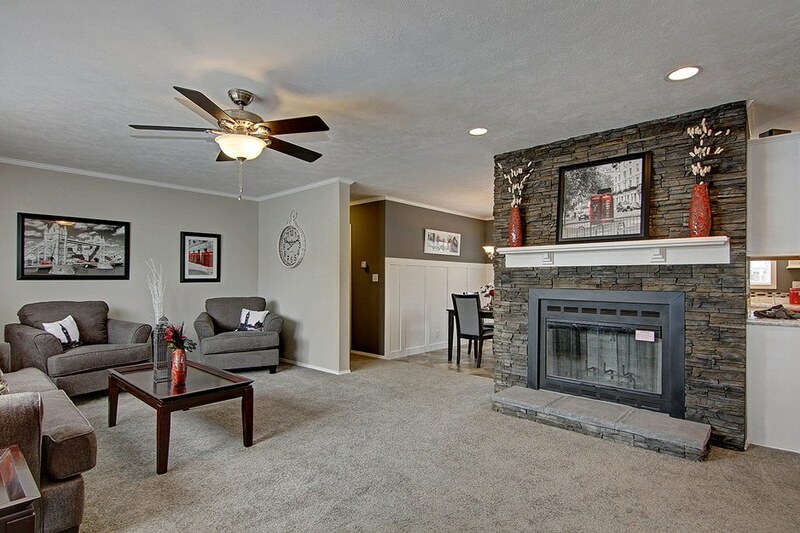 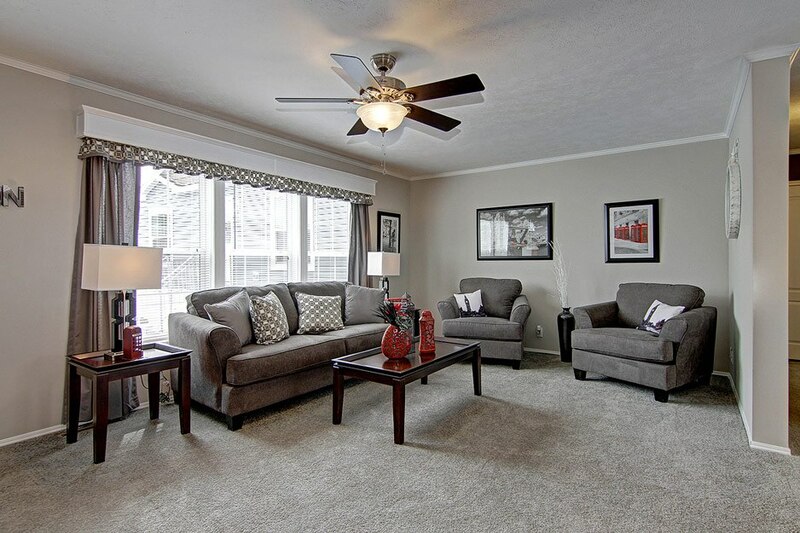 Options are endless in the Albatross Model Home from UMH Sales Center. 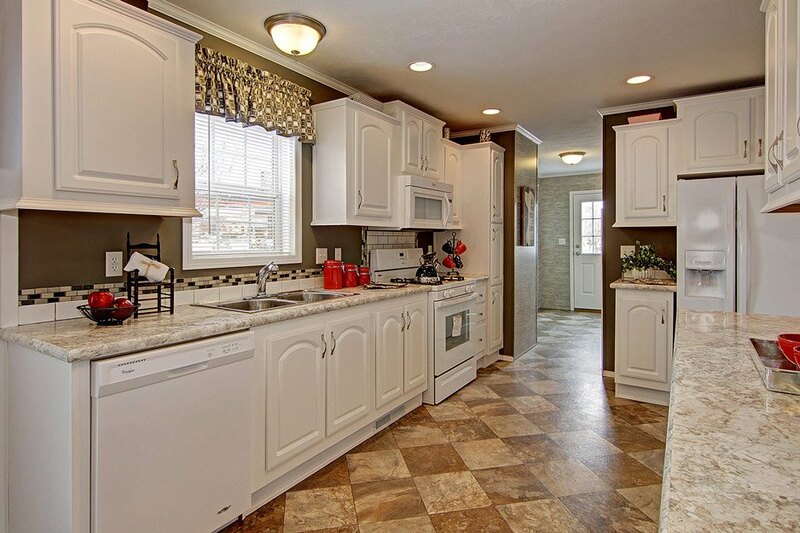 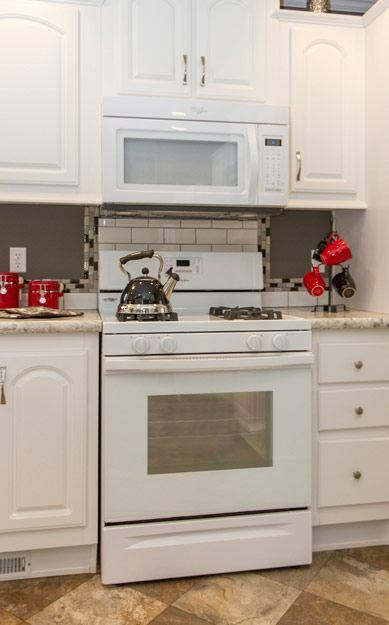 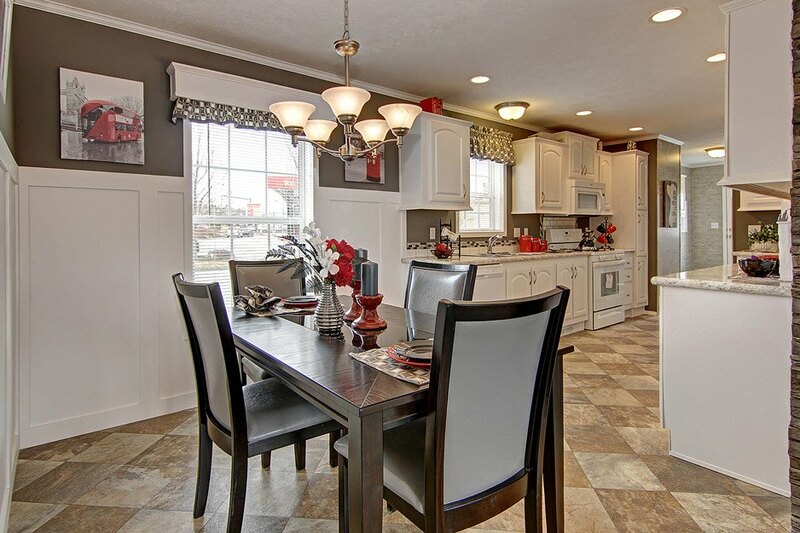 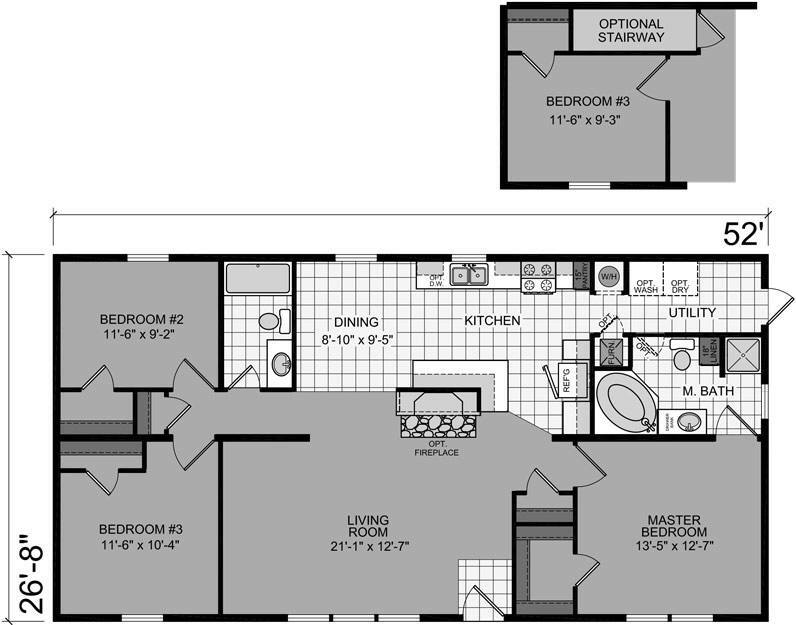 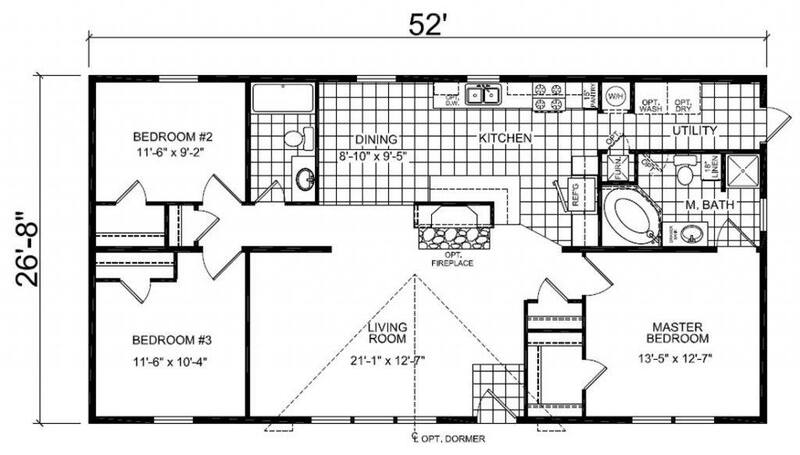 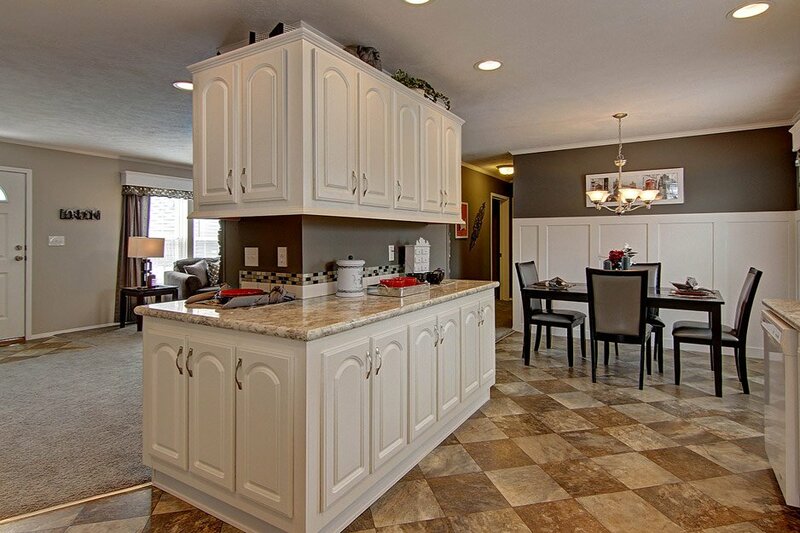 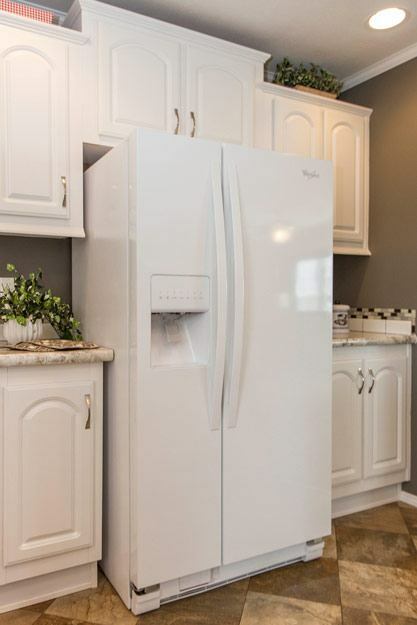 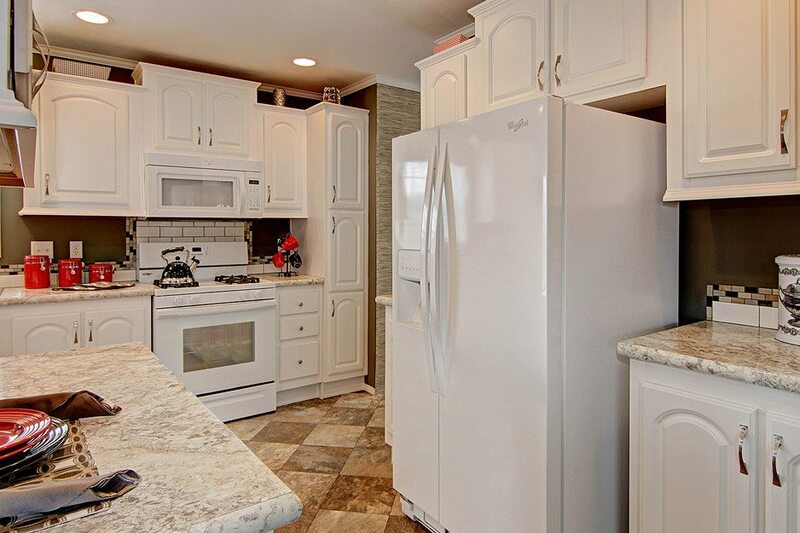 A beautiful, trendy kitchen with white cabinetry and a matching Whirlpool appliance package. 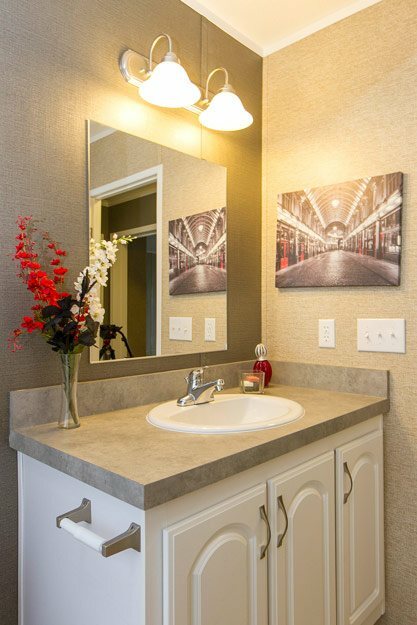 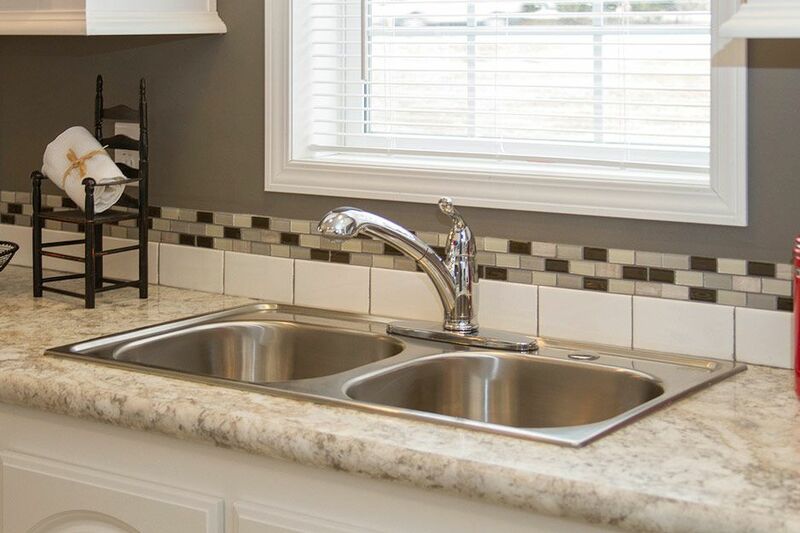 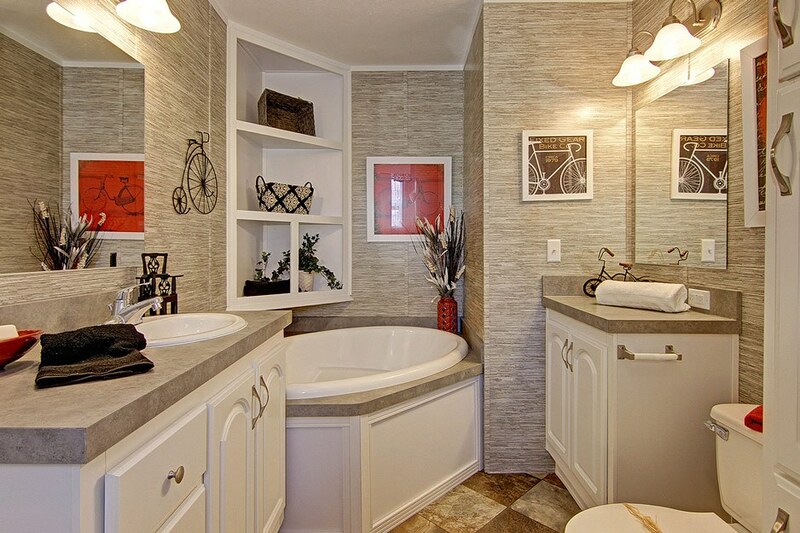 The stylish tile backsplash and crown molding offset the gorgeous marble patterned countertops. 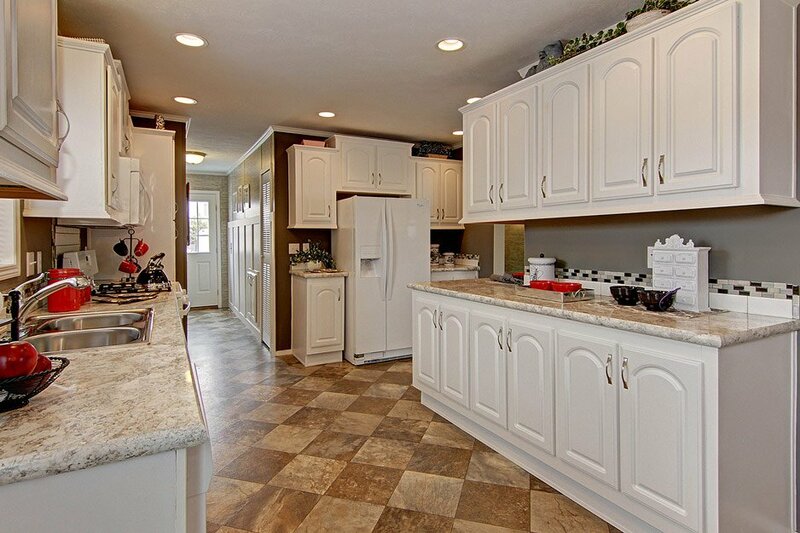 Diagonal tile flooring accents the center bank of counters, which add additional storage in this cook’s kitchen. 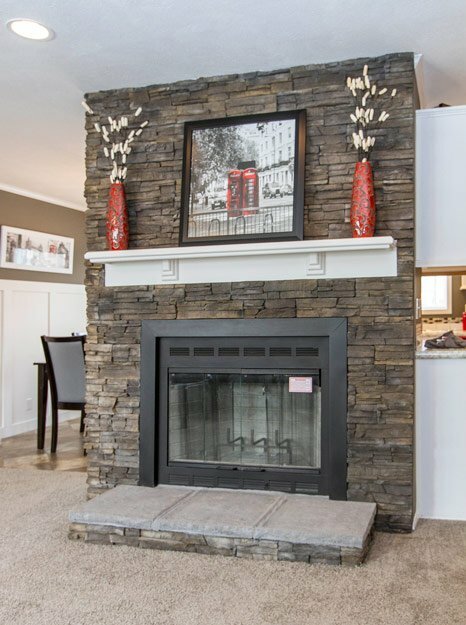 The dining area includes beautiful wainscoting and recessed lighting while the living area includes a beautiful gas fireplace with mantle and rock tile surround. 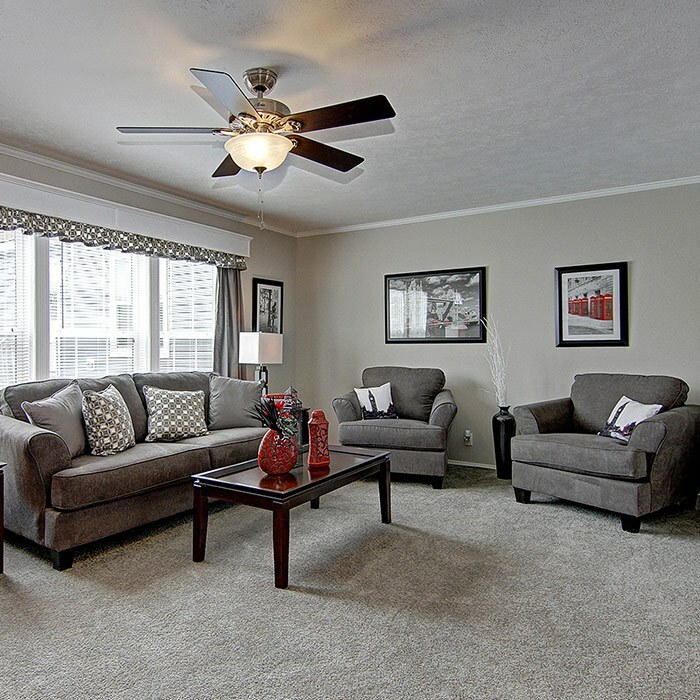 It’s so comfortable your friends will be waiting for the next invitation! 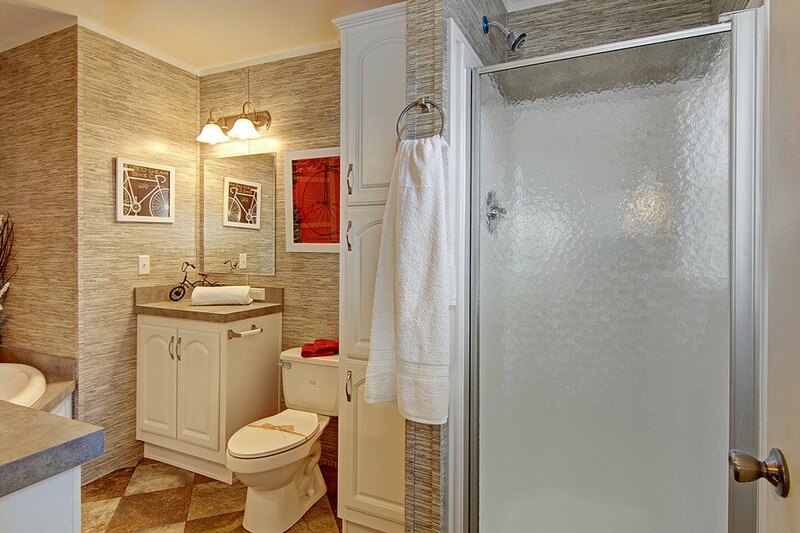 Other features of this home include two additional bedrooms plus a master suite, master bedroom with garden tub, washer/dryer hookups, and built in accents throughout.